The Franchise Redemption Train has pulled into yet another station, as yet another studio tries to erase its terrible, terrible mistake, and hopefully not flush $200 million down the toilet. Here's to doing things right (maybe?) the second time! After the original X-Men trilogy wrapped up with the dismal The Last Stand, Fox got the bright idea that many of the individual characters could hold up movies of their own – and they're right, in principle anyway. And who doesn't love an origin story, anyway? That led to 2009's X-Men Origins: Wolverine, which took the most recognizable and story-ready mutant and expanded him to feature length. And while it opened well, the movie itself was, shall we say... sub-par (let us not forget they also ruined Deadpool)? Fox quickly reacted by saying “Hey, look over there!” as it stripped the Origins title from its Xavier and Magneto movie. 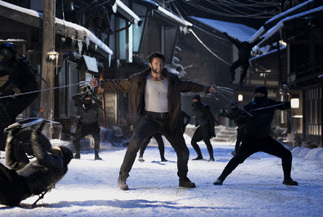 For their second trick, they'd like us to forget X-Men Origins: Wolverine ever happened with the rather declarative title of this new movie, The Wolverine.